We provide PABX System solutions for businesses. Selecting the most effective small office telephone systemmay be incredibly confusing. From hardware to software there are a large range of options that may leave you scratching your head. With A1 Communications you can rely on our expertise of what solution is best for your business. We'll take the time to review your needs and make sure you are given options that are within your budget as well as provide the full solution you need for your small business. There are two main reasons why a company looks for a small office telephone system. The first is cost saving measures. Sticking with traditional phone lines can cause a business to have a rising telephone bill. When you first start out you can get by with a single phone line but as a company grows people need extensions, staff need to be able to call anywhere without restriction, and features like call conferences become important. This leads into the second main reason to get a office telephone system, usability. A phone system can handle your multiple lines, queue options, voicemails, music on hold and more. You don't have to sacrifice quality to obtain the features and in most cases this will also save the business money. The first thing to keep in mind is that you will need a line for each person that can potentially be on a call at the same time. You also need to think about people sitting on hold, what lines are being used for your internet connections like ADSL as well as any merchant facilities you are running through phone lines. More lines doesn't necessarily mean huge costs as with a business telephone system you can avoid things like line rental charges and depending on your setup you can even avoid purchasing a handset for all your lines. Does the business have multiple departments? Does the business have a priority for who answers what calls? Is there an after hours mobile phone or do after hours calls need voicemail? What Phone System do I need? A popular option for business these days is to make the move to VoIP phone lines. VoIP is usually the cheapest solution for a business with lower call rates and less need for line rental. However by not wanting to sacrifice your call quality you face a higher internet expense as the internet needs to be of a high quality in order to run the phone system without issue. If you provide us with some recent telephone accounts as well as some time to discuss your situation we can let you know what is the best option for your business. Do you have/need a Fibre Optic connection? Do you have a standard ADSL internet connection? Are you setting up a new location with no active internet? 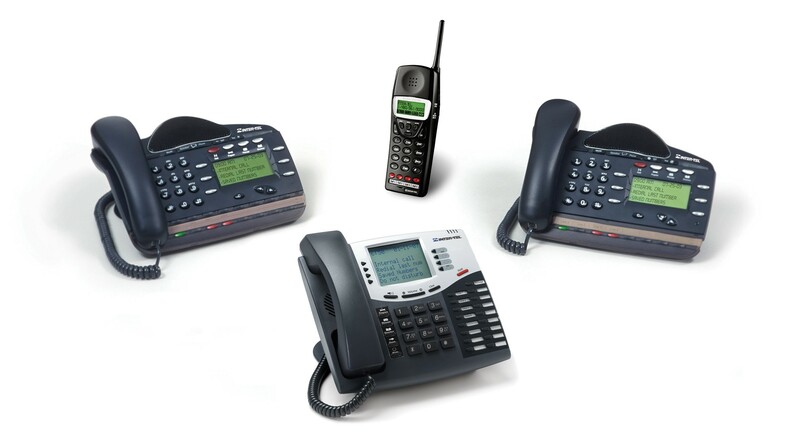 What kind of hardware do you want to use for your Small Business Telephone System? A1 Communications offer a range of handset solutions depending on the needs and budget of the business. This is an important consideration for your business as you may need some level of remote access while you have staff on the road or you may want to have handsets running in the office to avoid computer issues affecting calls. Does the business have the budget to purchase handsets? Is the business looking for software to make calls remotely? Does the business need to have handsets for certain environments? Your telephone system can have any number of features built in. Do you need music on hold? Would you like your customers to run through an IVR system with queues and options to get access to specific departments or staff members. You have a larger range of options with your phone system for a fraction of the cost so its a good time to look at what's possible to decide what works best for you.